The loan-to-value (LTV) ratio of a property is the percentage of the property's value that's mortgaged. Lenders use different requirements to determine whether a loan will be granted, and the LTV is usually a key factor. It's quite common for owner-occupied residences to get loans at LTVs of 80 percent. Most lenders really want to see prospective buyers invest at least 20 percent of their own funds into the transaction. Of course, that's not ideal for all homebuyers. Some prefer to keep their initial outlay of cash as minimal as possible. And commercial properties come with a host of their own rules. Calculating LTV is really just very simple math. You can get the LTV by dividing the mortgage amount by the lesser of either the appraised value or the selling price. $240,000 divided by $300,000 equals .80 or 80 percent. $95,000 divided by $100,000 equals .95 or 95 percent. And that's not so reasonable. Put yourself in the lender's position. You want as much comfort level as possible that the mortgage loan you're extending will be repaid in a timely manner and without fuss. Right or wrong, lenders take the position that high LTVs go hand-in-hand with an increased likelihood that the borrower will default on the loan. And if that does happen, the lender might find itself in a very uncomfortable position if the LTV is too high. Assuming that it's somewhere near 90 percent, the lender would have to sell the home for at least this much to avoid losing its money if it's forced to foreclose. That's not always a reasonable expectation at a foreclosure auction. In the case of that 95 percent LTV, the lender would have to sell the property for very close to fair market value to come out of the deal whole. The same lender could accept something less than fair market value with an LTV of 80 percent and still recapture its investment. And if the LTV is even lower, the lender most likely escapes the whole transaction in good shape. You probably care less about your lender's finances than your own purse strings, and that makes sense. You might not want to part with a lot of cash at closing by putting more money down to lower your LTV ratio, but a lower LTV has several advantages over the long term. Low LTV loans tend to be rewarded with lower interest rates. Consider that over a 30-year term. And, of course, if your property's value is more or less maxed out, you can probably forget about refinancing for a while if the need ever arises. As for commercial buyers, the lower those mortgage payments are, the lower your operating expenses will be. That ultimately means more money in your pocket. Then there's the issue of private mortgage insurance (PMI). It's a given that the lender will want some insurance in place if it does indeed grant a loan at an LTV of more than 80 percent. This insurance kicks in to compensate the lender if you default. But the lender doesn't pay for this policy. The homeowner does—at least until reaching at least 80 percent in equity. So no, you might not be paying as much up front, but you'll be nickel-and-dimed over the course of your loan between higher interest rates and annual PMI premiums—and this often adds up to more. As a practical matter, the law provides that your lender must terminate PMI automatically when your LTV drops to 78 percent. You don't even have to do anything to arrange it or make an official request. But if you're starting out with an LTV ratio of 95 percent, that could take awhile. Loan-to-value ratios are used in commercial real estate as well, but lenders sometimes require LTVs lower than 80 percent when a property is intended to be an investment. LTV ratios are one of three primary ratios that commercial lenders typically use. In this case, the market value of the property is often based on a commercial appraisal, but as with residential properties, the purchase price will be used if that's less. You might apply for a mortgage of $600,000. The property appraises at $750,000. 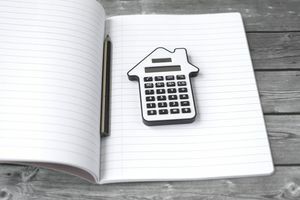 The mortgage divided by the appraisal amount works out to 80 percent, which should be sufficient to get you financing, but it can depend on the lender. As a general rule, commercial lenders won't approve loans with LTVs of more than 80 percent, but some lenders offer nonconforming loan programs that will go higher. And, as with residential real estate, a lower LTV ratio goes hand-in-hand with more favorable loan terms and rates. A conventional commercial mortgage lender makes loans that are not guaranteed by the government or a government program. They're typically banks and credit unions. They might consider LTV ratios in the neighborhood of 75 percent for some investment properties, but most won't go higher than 65 percent if the property is management intensive. "Management intensive" means that the borrower is going to be actively operating and managing the business. The building is not merely sitting there, passively appreciating. Management-intensive properties can include motels, gas stations and service stations, and bars and restaurants. They typically involve a higher potential for failure. Government-sponsored enterprises (GSEs) include government programs like Freddie Mac, Fannie Mae, or Ginnie Mae. They'll typically cap commercial LTV ratios at 80 percent as well, but this can depend on the type of property you're financing. It's usually 80 percent for apartment loans, and GSEs don't usually lend on commercial investment properties. GSEs are much more lenient with private homebuyers. FHA loans can be granted with LTVs as high as 96.5 percent, depending on the buyer's credit score. And USDA and VA loans are possible with no down payment at all for qualifying individuals. Owner-occupied commercial properties are those where the borrower's company is actually in residence. You might buy an office complex and situate your own office front and center of the main entrance. As a homeowner, you're actually living in the residence, not renting it out. These types of properties are sometimes privy to approval at higher LTV ratios, at least commercial loans made through the Small Business Association (SBA). The SBA will sometimes approve loans up to as much as 90 percent LTV. Keep in mind that the SBA does not actually issue these loans. Rather, it guarantees them with local banks. And very young businesses—those less than three years old or so—won't qualify with that 90 percent LTV ratio. More likely, the lender will look for an LTV in the neighborhood of 65 percent in this case. If you're applying for a second mortgage—you already have a first mortgage against the property, but you're looking for additional operating capital for a period of time—you would add the two mortgages together before dividing by the appraised value. As a practical matter, however, GSEs virtually never allow second mortgages behind their first mortgage positions. Nor will most conventional mortgage lenders, except in the case of residential properties.